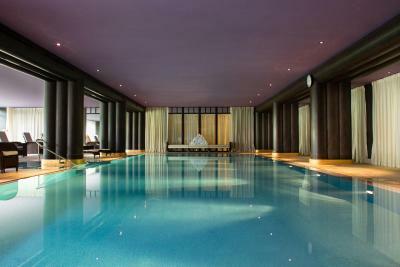 Lock in a great price for La Réserve Genève Hotel & Spa – rated 8.7 by recent guests! -Service is on another level. Cannot be compared with any other hotel. I was really amazed at the care that they took of my wife and I. -Food is out of this world. breakfast was amazing and the chinese restaurant is truly exceptional. very expensive but very good. All the staff were EXCELLENT & were very nice, understanding & helpful at all times, trying their best to render our stay as good as possible but we just couldn't stay & moved out the very next day to The Four Seasons - Hotel des Bergues...!!! 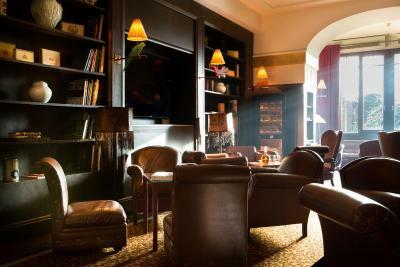 Stuff, clean room, calm atmosphere at the lobby, breakfast and the lounge. The property is fabulous. Clean and beautifully decorated. The staff is wonderful and very attentive to your needs. Also the spa is out of this world!! 100% coming back in summer. The location is ideal. The staff (especially the front desk, concierge and the whole team of the bell boys) have provided exceptional service. All around phenomenal experience. Can not find a single fault. The service and quality of the facilities were above exceptional. La Réserve Genève Hotel & Spa This rating is a reflection of how the property compares to the industry standard when it comes to price, facilities and services available. It's based on a self-evaluation by the property. Use this rating to help choose your stay! 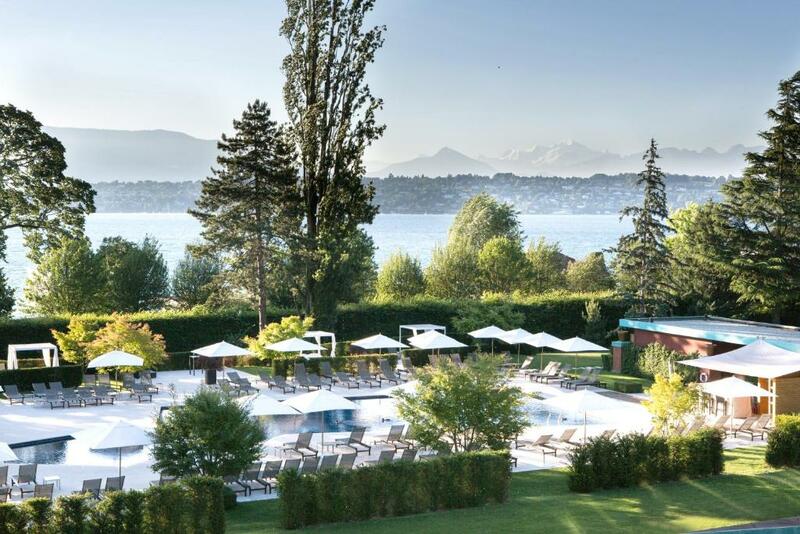 Surrounded by a beautifully landscaped park of 10 acres, on the shores of Lake Geneva, the luxurious 5-star La Réserve Genève Hotel & Spa offers you indoor and outdoor pools and 4 restaurants and a bar. 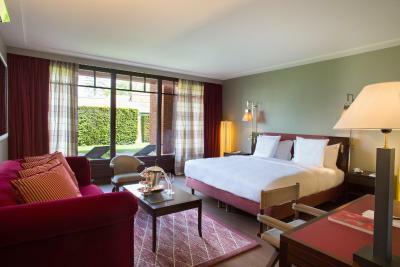 All rooms in the La Réserve Genève Hotel & Spa feature hardwood floors, luxurious fabrics and are air-conditioned. Free WiFi is also provided. The Spa is spread across 2000 m2 and facilities include a hammam, saunas, steam baths, a fitness center and 17 treatment rooms. Access to the spa is not permitted for children under 14 years and a daytime (09:00 to 18:00) childcare center is available free of charge at the hotel. 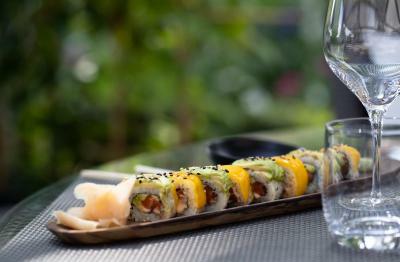 French and Chinese cuisine, as well as light dishes are served in the gourmet restaurants, featuring inviting terraces. 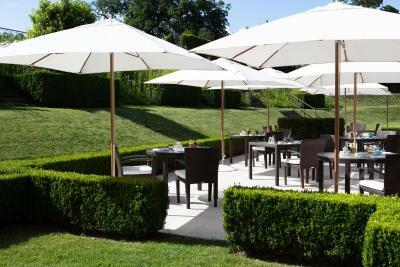 A pool-side restaurant Le Lodge operates during the summer months, offering Mediterranean cuisine. 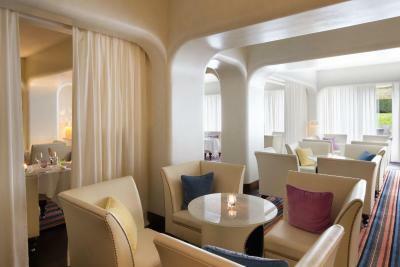 For a more relaxed atmosphere, day or night, come and unwind in the Bar-lounge. Les Tuileries Train station is 1,000 feet away from the hotel and guests can reach the center of Geneva within a 12-minute train ride. In summer La Réserve also offers a free private boat shuttle to the center. In addition guests receive the free Geneva City Pass which offers free use of all public transportation in Geneva. 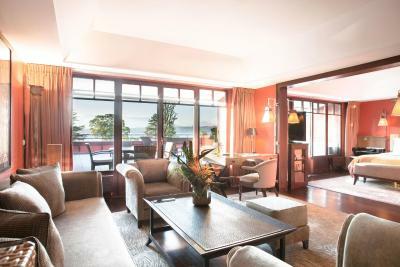 When would you like to stay at La Réserve Genève Hotel & Spa? 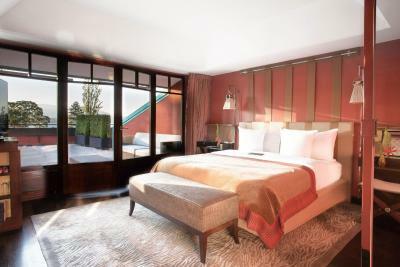 Rooms overlooking the park featuring a private terrace. Rooms with a large bathroom with a bathtub and walk-in shower. They have grounds and park views. This elegant room has a sitting area, a separate toilet, a bathroom with a bathtub and a shower, as well as a terrace or balcony with park views. Adjoining rooms are available. 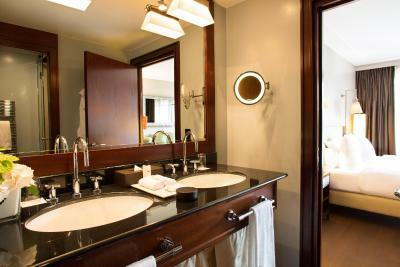 Large suites with a separate living room and a bathroom featuring a spa bathtub. 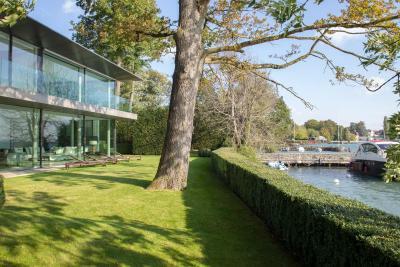 Large suites with a bedroom facing a quiet park and a separate living room with views of the grounds and the lake. 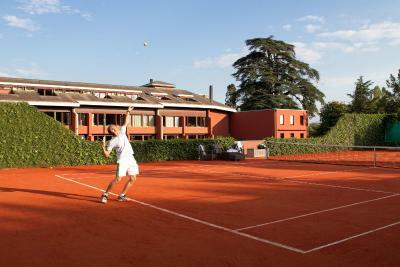 They offer a direct access to the grounds or a large private terrace. 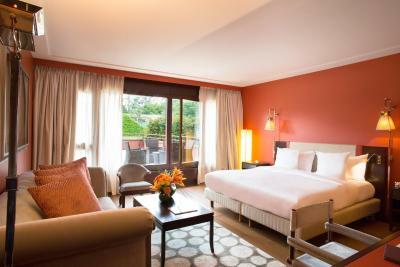 Very spacious rooms overlooking the grounds and the mountains. 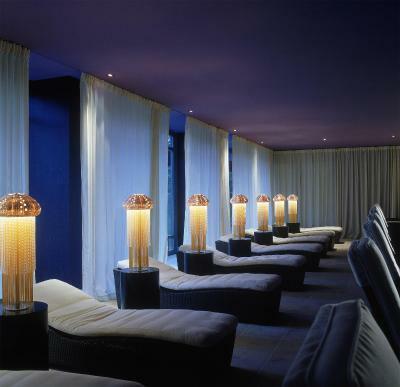 House Rules La Réserve Genève Hotel & Spa takes special requests – add in the next step! 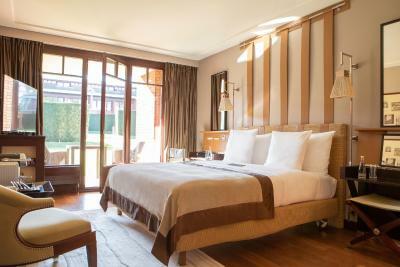 La Réserve Genève Hotel &amp; Spa accepts these cards and reserves the right to temporarily hold an amount prior to arrival. 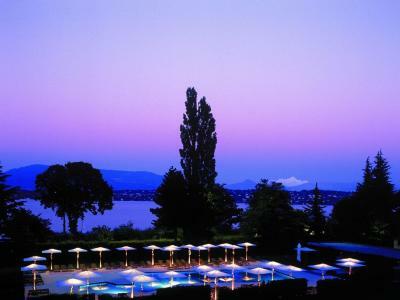 La Réserve Genève Hotel & Spa accepts these cards and reserves the right to temporarily hold an amount prior to arrival. Please note that children under 10 years are not allowed in the spa center and the indoor pool. My only negative to the property is the Loti Bar, especially in the evening. The waitstaff does not provide attentive service and you have to try very hard to get their attention. Many of the rooms are old inside. My room was on the 6th floor and constantly smelled like the spa area. How can the hotel still allow smoking in the rooms? While staying in the on-smoking room, we received a lot of smoke coming into the room through the ventilation system. Imagine laying in a bath with the heavenly odors of the LaReserve bath amenities, you all of a sudden start inhaling a cigarette smoke. Same when we went to bed and when trying to fell asleep, we had to open the balcony to allow some fresh air into the room so that the cigarette smell disappears from our room. 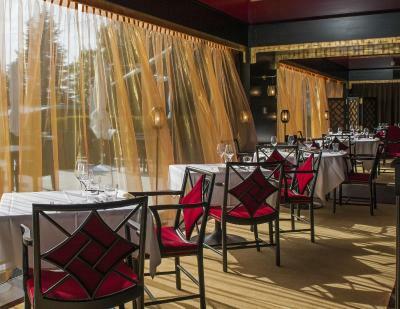 Was the most horrible and unpleasant experience for a hotel of this class Also an experience in both restaurants that we tried was quite something. The Loti: we had dinner with friends on 21st. My veil while requested to be cooked medium rear arrived very well done and could not be chewed at all. They have removed it from the bill but the impression of ignoring a request was left (and this is when the waiter actually asked me how do I prefer my veil to be cooked). The waiter did not seem to pay much of an attention to our table through the whole night and this was quite a disappointment. A funny yet sad experience happened in the Tse Fung restaurant on 29th. We were hoping that while the place has a Michelin star, it will definitely be the right choice. We ordered some appetizers, which were not impressive and the Peking duck (cooked in two styles). When the waiter finally served the duck, it slided down his tray, hitting his jacket (luckily not floor). Once he showed the duck, we saw it finally being served to our table in 20 minutes. And this was only the skin and leg part. While trying to serve it to some standards (not sure which), we got two pancakes with skin as a first serving and then again a disappearance for at least 15 minutes (with the remaining of pancakes and skin, not mentioning the sauce that got cold without heating throughout this whole waiting time and sticking to out teeth in a very unpleasant way). You have to do smth ab the serving standards for sure! No plugs to charge phone in the room. A bit small too. The staff ...very friendly . EVERYTHING!!! Shocking since the moment you walk inside this "Elephant Reserve" which has very badly aged, completely forgetting that we are now in 2018! It doesn't deserve more than a Maximum of THREE stars! ALL of it is so dark & ugly! This is a place that needs to be shut down & badly needs a TOTAL HUGE CHANGE & COMPLETE RENOVATION under the supervision of a very competent international hotel group as all good hotels have been doing since quite a long time now, for example the Hotel des Bergues in Geneva is now with The Four Seasons, etc......The George V in Paris is a Four Seasons Hotel too, etc.....! 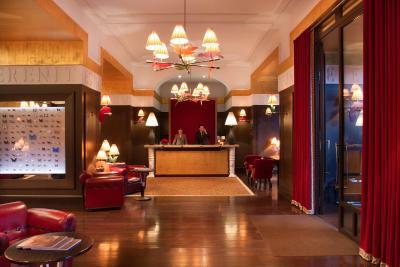 La Réserve Geneva has a Very Great Potential to become, once again, a Beautiful five star hotel IF only.....! The staff around the pool area were awful. The food was hideously expensive.